In the capital Caracas, some supporters of Mr Guaidó scuffled with police and were driven back with pepper spray. 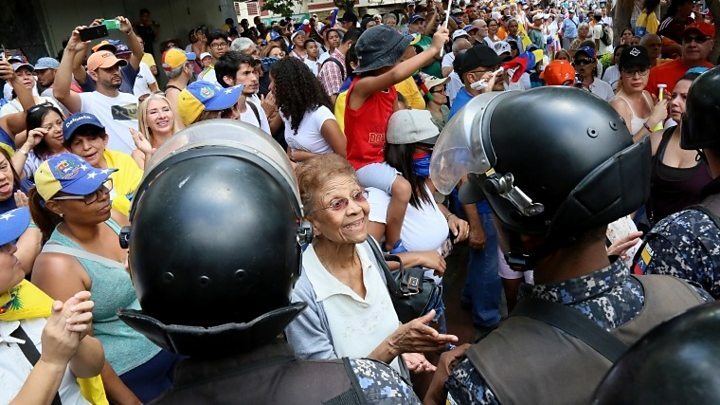 On Saturday, police were out in force where the opposition march was taking place in Caracas. 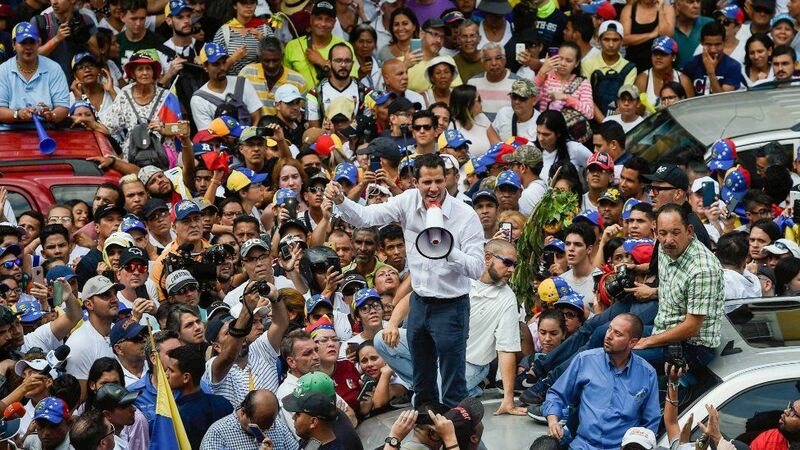 Addressing the rally later, Mr Guaidó announced he would embark on a tour of the country and summon all his supporters to attend a mass protest in Caracas “very soon”. “We are going to come, all of Venezuela to Caracas, because we need all of them united,” he said. Using a megaphone to be heard above the chanting crowd, he called on his followers to remain “united and mobilised… in the streets”. President Maduro, meanwhile, thanked the army for staying loyal to him, saying they had defeated an attempted opposition coup. Speaking outside the Miraflores presidential palace, he referred to Mr Guaidó as “a clown and a puppet” of the US. 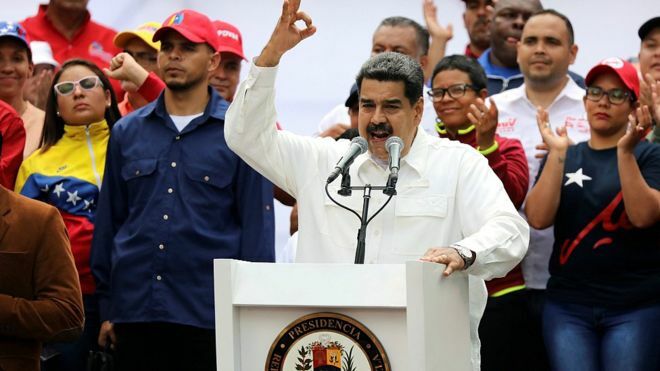 President Maduro said on Saturday that electrical substations had been attacked with “the support and assistance of the US”. “Many saboteurs have infiltrated the state’s electrical company,” he said. Mr Guaidó says the blackouts are the result of years of under-investment. Is there a cult of personality in Venezuela? Dit bericht werd geplaatst in _Venezuela, BBC. Bookmark de permalink .